A first aid course that’s fun, unique and engaging, means those life-saving skills remain top of mind. TriEx has its finger on the pulse, offering unrivalled training. The nationwide occupational health, safety and wellness solutions company of 30 years, tailor-makes flexible group classes for companies, including industry or workplace requirements. It also operates popular day-long public courses from the Sydenham premises, for individuals or groups in class sizes of up to 16. “We get lots of feedback from people saying they were blown away – it’s not dull or boring as they were expecting,” Health and First Aid Manager Craig McGuigan says. 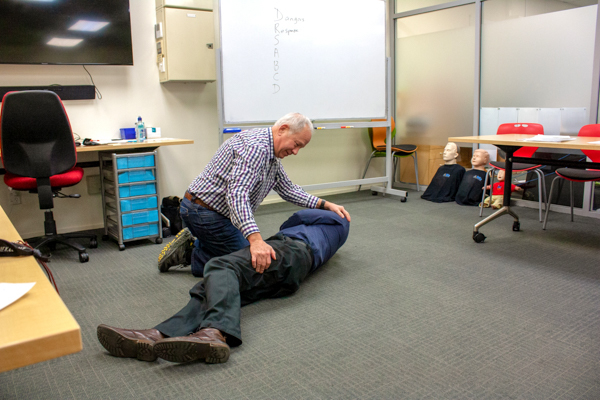 Chest compressions timed to the beat of Queen’s song ‘Another one bites the dust’ and the latest equipment, such as mannequins which light up, make for a memorable learning experience. Four-hour psychological first aid courses are also taught, for mental health wellbeing in the workplace – providing the tools to recognise and talk about it.